Your friends keep showing off all the amazing and super cheap stuff they got on TaoBao, but you’ve yet to take the plunge. If you can’t read Chinese it can be a bit daunting, but once you know how to use Taobao, your life in China will change forever. Take a deep breath, follow this step-by-step guide and you’ll be a pro in no time. If you don’t know, Taobao is one of the largest online markets in China, selling anything and everything you could possibly imagine. It’s been compared to Amazon on steroids. 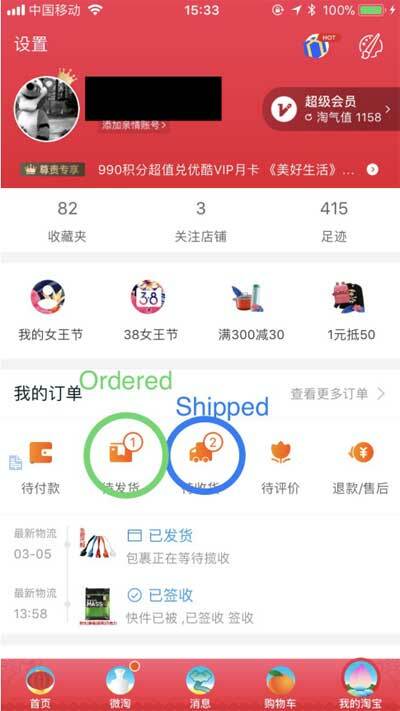 Taobao is popular for a number of its features, including ratings of the sellers, product variety, and speed with which packages arrive. For years, Taobao has continued to expand until it has now become synonymous with online shopping in China. This how to use TaoBao guide will help you setup an account so you too can be a part of the shopping revolution. 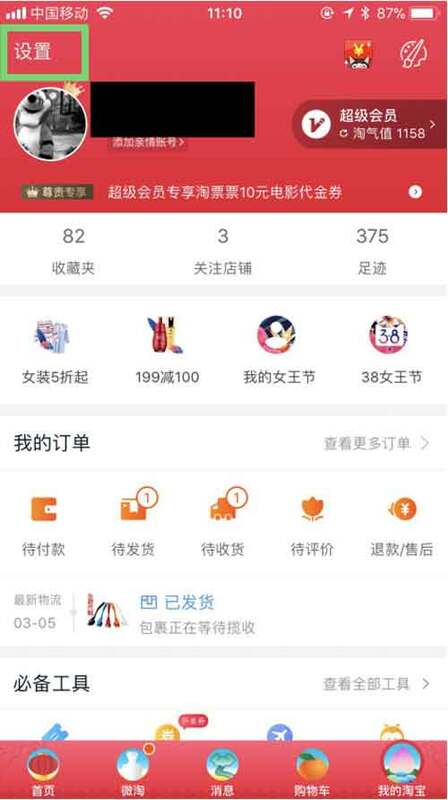 First, download the app - it’s orange and can be found by searching “Taobao” (淘宝) on whatever app store you use. Open the app and click on the person icon in the bottom right hand corner and add your phone number. Click the button to the right of the blank space directly below to receive your SMS verification code. Insert the verification code into the box and press the big orange button at the bottom. Once in, you’ll need to start filling in your basic information. It can look pretty daunting since it’s all in Chinese, but fear not, I have translated it for you. First, click on the characters I’ve highlighted in green, this is your “settings” area. The key section within this is at the top and translates to “My receiving address”. This is where your packages will be sent. If you don’t already have Alipay, it’s easy. First you’ll need to set up a Chinese bank account, which is also easy, albeit a little annoying. Just take your passport and any other official documents you might have to a bank (I recommend ICBC) and keep saying “Kāi hùkǒu” until someone helps you. Once you have that sorted, download the Alipay app and link it to your account with your ATM card number, name and phone number. The Alipay instructions are in English so it’s pretty straight forward. PRO TIP: You need to input your name exactly as they’ve listed it on your bank account papers, so pay attention to whether your surname comes first or second and what’s been capitalised. Back on the Taobao app, go to “Account & Security” (2nd link on the settings page we were just on). This is where the magic happens - linking your Alipay account. The translation is “Alipay bound set”, which in normal English means you’re going to link Alipay to your Taobao. Click on that, fetch and key in the SMS code, and add your Alipay account number (your phone number) and password before clicking the big orange button. 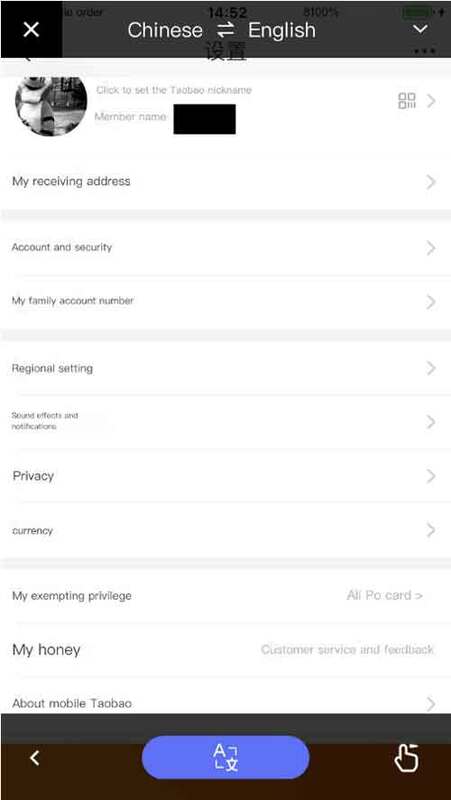 Besides “setting the login password”, which you might have been prompted to do when you registered on Taobao, the rest of the stuff on the Settings page can be ignored. So now that you’re all setup, it’s time to buy stuff. “But how?” you exclaim. It’s a pretty straightforward process. On the main page, you can search for items either in Chinese or English - both will yield different results. Once you click on an item, there are some things to consider. First, the seller’s rating. The symbols used on Taobao are hearts, diamonds and crowns, with crowns signifying that the seller is the most trustworthy. If a seller has hearts, it’s probably best not to buy from them as the product might be fake. The 2nd thing to do is check out the user reviews. Just like with Amazon, this is where you’ll find the most useful information as well as pictures of whatever you’re buying. The majority of these are in Chinese, however, so get your translator app ready. After you’ve ordered, the product will show up under the “ordered” area, until it ships, and then it will move under the “shipped” section. Funny how that works, eh? Everything else is just extra stuff that you’ll learn after using Taobao for a while. Such as leaving a product review, rating the seller, returning products/applying for a refund and adding items to your “favorites” list, etc. Next to the big yellow (Add to Cart) and orange (Buy Now) buttons are two symbols, a star and a Mario-inspired ghost icon. The star allows you to favorite that product and return to it later in your “favorites” list. The ghost is the chat function that will allow you to talk with the seller. Most conversations will either be you asking, “Do you have a bigger size?” or the seller saying either, “Sorry, we’re out of stock” or “We don’t have green, is red ok?” These conversations will be in Chinese and unfortunately, there’s no in-app translate option like with WeChat. The most important things are linking your Alipay account adding your address correctly. Once you’re done that, anything you could possibly desire will start showing up at your door and your life in China will never be the same again. Start by buying something small, though, just to make sure it works. cant believe no one has written 'Taobao for Dummies' yet. Probably cos all you have to do is use it to become one.